Since Twitter announced inline images, we’ve been experimenting with this change by adding images to a lot of the tweets from our @buffer Twitter account and have noticed a big difference in the engagement we’re getting. To get a better idea of what a difference inline images has made, I took the last 100 Tweets including a link from our @buffer account (not including any Retweets) and compared the averages of the tweets with and without images included. Our click-through rate did grow, but not by very much. My theory on this is that with an inline image, there’s more content for the user to consume without leaving Twitter (which is probably what Twitter wants), so they’re not much more likely to click-through. Of course, that’s just a theory so it’ll be interesting to see what the data says over a longer time period as we keep experimenting with this. Favorites increased quite a lot. Along with Retweets in the graph below, this shows a lot more engagement with the Tweets themselves. Clicks, on the other hand, show engagement with the original content. We often share our blog posts multiple times on social networks, for a few difference reasons. Some of the biggest benefits we get are more traffic, reaching people in different time zones and sharing our content with people who’ve followed us since we last posted it. Since we usually post the same content to Twitter multiple times, we take advantage of this opportunity to test out what headline works best for the blog post. Tweet both of these headlines at roughly the same time, at least 1 hour apart. We’ve found that posting the two Tweets both in the morning or both in the afternoon works best. Compare the data for each Tweet to find the best headline for your blog post. When we see a big difference in engagement on a different headline like that, we usually go back to the original post and change the title itself (the URL never changes, just the heading of the post). Here’s an example of how we might do that on Facebook. This way we can sometimes get double or even triple the amount of engagement by highlighting different elements of the content each time we post it. We often do this on Twitter as well. You can simply right click any image on the web with Buffer’s browser extensions for Firefox and Chrome to share a new image post on Twitter or Facebook, that according to the latest social media statistics, will garner significant more clicks, Retweets and favorites. Another neat feature of Buffer is that you can schedule native Retweets from Twitter.com. This is super easy and works with the click of a button. To get started, you just need to install the Buffer browser extension. If you add your Buffer account, you’ll be able to publish to all of your connected social profiles and pages, just like you can from the Buffer dashboard or browser extensions. Followerwonk is a tool that we love using at Buffer to work out when is the best time for us to tweet. Something we’ve found that’s really helped us to bond with our readers and build up a community around Buffer is to be really open about how we run the company. We share details about Buffer on our Open blog, as well as in interviews and on other sites. Google Authorship is not just the photo and byline that appears on search results pages, thought that’s a large part of it. In addition to the byline, there is a strategic layer to Google authorship. The tie-in with Google+ profiles creates verified connections between content on the web and the creators of the content. This gives Google the ability to identify quality, human-created content. 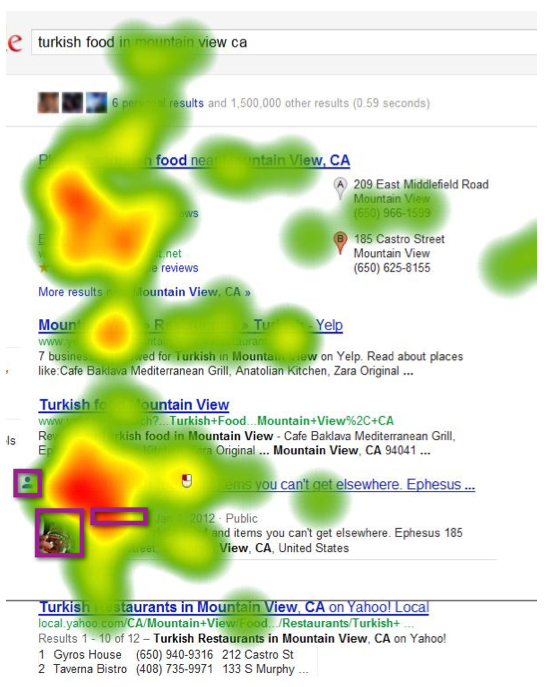 A study performed by search marketing firm Catalyst found that clicks improved 150% with Google authorship. Authorship offers a competitive advantage. A recent study found that only 3.5% of Fortune 500 companies are actively using authorship. Until they do, they are giving a big opportunity to the rest of us. Authorship may be the future of search. 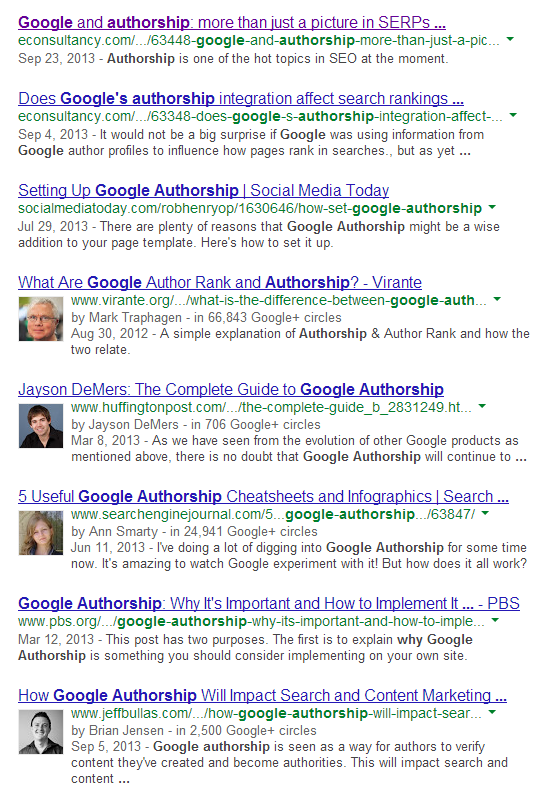 To get started with Google authorship, you can check out this step-by-step guide on the Buffer blog. That’s it! I hope some of these might be useful for you here. We’ve recently introduced the brand new Buffer for Business too, so in case you’re looking for a powerful social media management tool, take a look, we’d love your feedback on it. Subscribe to our new Definitive newsletter: High grade digital marketing guidance, topically sorted, and curated to the max. You pick the categories, we deliver the content. The best content from around the web, on topics you care about and need to be an expert in.